Cristiano Ronaldo will not be rushed back for the Champions League quarter-final against Ajax, Juventus chairman Andrea Agnelli says. Juventus Forward Cristiano Ronaldo suffered a right thigh injury in Portugal's Euro 2020 qualifier against Serbia on Monday and was substituted in the first half of the game. It was the striker's first international game since he came back for the national team after the 2018 World Cup in Russia, but he was forced to sit out their 1-1 draw with Serbia the following Monday. "I know I should be back in a week or two." 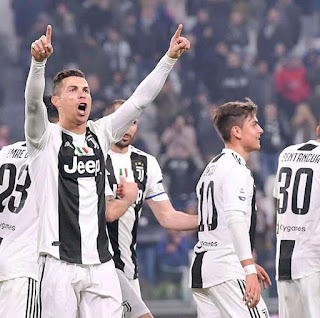 Runaway league leaders Juventus will face Empoli, Cagliari and AC Milan in Serie A action before heading to Amsterdam and Agnelli says the club's job is to protect the player, not put him at further risk by bringing him back too soon. "When you have such injuries, you need to be careful,"
"Ronaldo is fine. We'll protect him from here until the end of the season because that's more important than thinking about a single match.